Anyone who saw the first half-hour of Rise of the Planet of the Apes is unwittingly familiar with the real-life events chronicled by the outstanding documentary Project Nim. In many ways, however, the truth here is even stranger than fiction. In 1973, a newborn chimpanzee was removed from its mother and moved into a brownstone on Manhattan’s upper West Side. 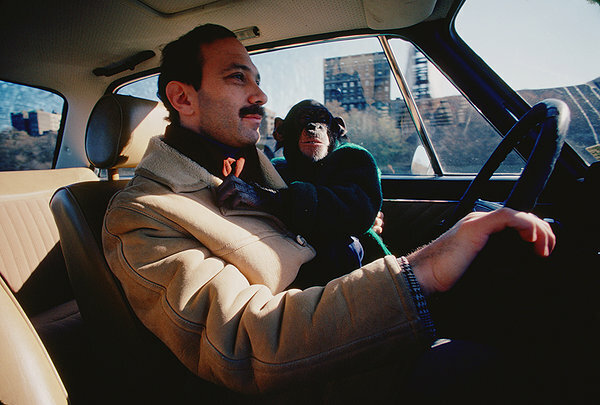 Nicknamed Nim, the chimp was raised and taught like a human child by a revolving door of researchers as part of a scientific project led by smarmy Columbia University psychologist Herb Terrace. Oscar-winning director James Marsh (Man on Wire) employs two rather ordinary documentary filmmaking devices – copious reels of archival footage and talking-head interviews – to assemble an extraordinary portrait that reveals even more about the people at this story’s center than the titular primate. Moreover, it’s a searing, cautionary parable about mankind’s ever-expanding efforts to manipulate the natural order. This is one of the smartest, scariest and most superb films of the year.